Hasudungan Surveying Equipment with more than 6 years experience in surveying instrument and measuring equipment supply, sell a wide range of latest instruments, accessories and consumables for measuring, surveying applications and construction. Our related products from the worlds leading brands such as Trimble, Leica, Sokkia, Topcon, spectra, Faro, etc. Hasudungan Surveying Equipment Is One Of The Malaysia Companies Surveying Services. Leading In Service, Rental, And Sale Of All Surveying Equipment And Measuring Instruments. 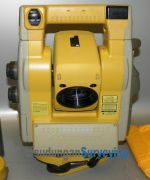 Sales, Rental And Service Topographic Precision Instruments And Specialized In Software From Leading Brands Such As: Trimble, Topcon, Sokkia, Faro, And Leica Geosystems. Provide People With The Best Deals, The Latest And Comprehensive Price Information On New And Used Full Range Of Surveying Product, GPS, Total Station, Construction, Laser Scanner, Machine Control And Agriculture, Also Accessories. Hasudungan Surveying Equipment have years of experience providing a quality service of surveying equipment to surveyor company, government, education, individu and the private sector. At Hasudungan Surveying Equipment, Customer Satisfaction Is Our Priority. So If You Have Any Questions About This Web Site Or For Any Of Our Products, Please Feel Free To Contact Us. We help you deliver the most out of your investment in surveying equipment, not only do we selling and buying but also offer a complete after sales service network, including training, service and repairs, technical support, finance options and maintenance agreements.